If you need to find a Lauderdale Lakes Slip and Fall Attorney that is completely reliable, call Robert Gluck from the Law Offices of Robert E. Gluck, P.A. 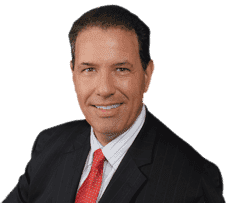 Since 1989, he has been practicing law and has build a solid reputation in the South Florida area since then. He will be able to provide you with the legal representation and guidance you need. Whether you've fallen on someone's residential or commercial property, we will be able to help you. As your Lauderdale Lakes Slip and Fall Attorney, Robert Gluck will start by proving negligence existed at the time of your accident. Negligence is the legal standard one must follow to avoid injury to another person. If negligence existed, he will be able to build a strong case for you. Your Lauderdale Lakes Slip and Fall Attorney will launch a thorough investigation into your claim and gather all of the necessary evidence he will need. He will find witnesses to the accident and get their statements, take photographs of the accident scene, secure video surveillance, and obtain any other evidence he believes will build a strong case for you. Studies have shown that you are more likely to receive a higher compensation if you are represented by a Lauderdale Lakes Slip and Fall Attorney than if you try to handle the case on your own. You shouldn't have to go through this ordeal by yourself. We will be there for you every step of the process and keep you updated along the way.